events - shows the OGLE-II and OGLE-III microlensing events taken from EWS and Wyrzykowski et al. 2010 as well as Wyrzykowski et al. 2010 (in prep.). Background photos captured from wikisky.org. 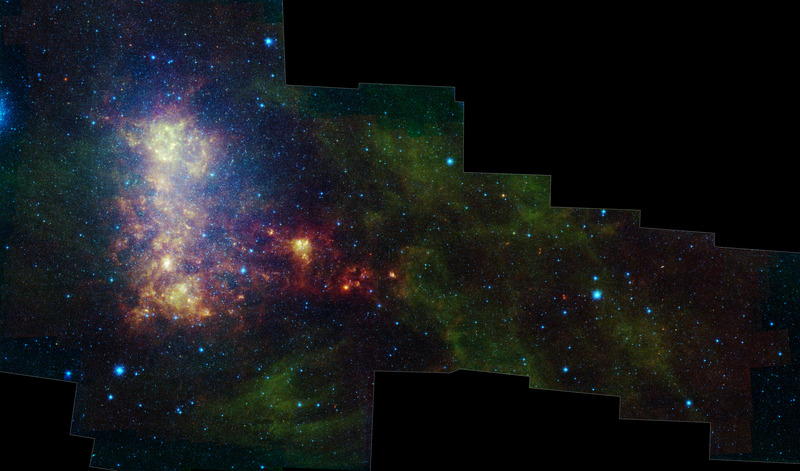 The photo of the SMC done by Spitzer Space Telescope - a NASA mission. Fields by the OGLE Team.